The Cable Matters Gold-Plated DisplayPort to VGA cable is an indispensable companion for your laptop or desktop equipped with DisplayPort. 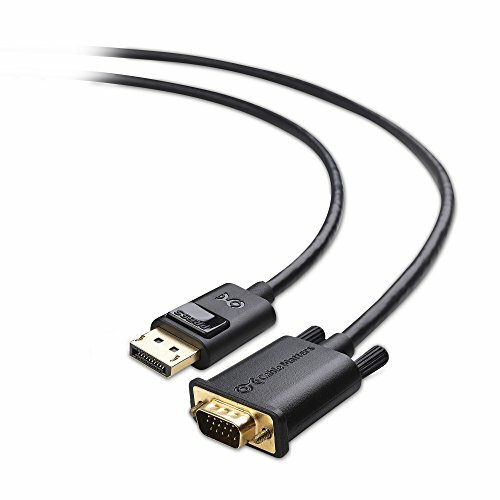 Extend your desktop to a second monitor (1920x1200 or 1080p) for an expanded workstation, or show presentations on a projector at school or work with this cable. The combination of gold-plated connectors, bare copper conductors, and foil & braid shielding provides superior cable performance and guarantees exceptional picture quality.